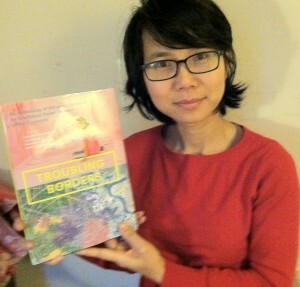 LinDa Saphan is a proud contributor to this new publication, Troubling Borders: An Anthology of Art and Literature by Southeast Asian Women in the Diaspora. 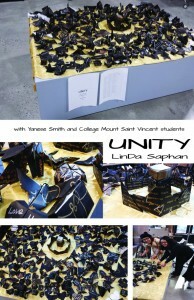 "UNITY" is an art project initiated by Yanese Smith and LinDa Saphan for the Art Festival organized by the Art department of College of Mount Saint Vincent. We asked students to write on a black paper their hope and dreams or anything that would describe them. They would then fold it into any shape of their choice. Together we created this art piece. 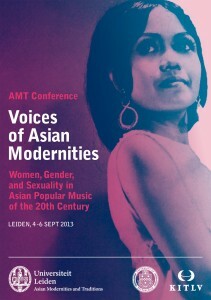 Asian Modernities and Traditions (AMT) will host the first conference within the project Women, Gender, and Sexuality in Asian Popular Music of the 20th Century. 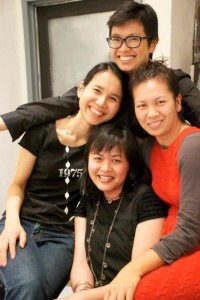 The Voices of Asian Modernities project is a consortium between Leiden University, Royal Netherlands Institute of Southeast Asian and Caribbean Studies (KITLV), and University of Pittsburgh. Dr. Saphan will present "Voices of Cambodian Modernity: Female Rock Stars of the Pre–Khmer Rouge Era"
Saphan presided a panel at the SSSP convention in August 2013. 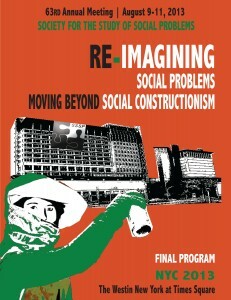 She was also the graphic designer for the Society for the Study of Social Problems. GOWANUS LOFT, Brooklyn NY. My drawings were exhibiting alongside to Thavary Krouch documentary film Black Ink On Rice Paper. 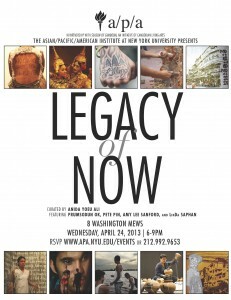 ...there’s a growing movement of empowered young Cambodians who use media and art to explore their cultural identity, political/historical circumstances, and experience. We carry the dual responsibility of decoding complex personal histories while contributing to the narrative of a people just one generation from the horrors of genocide. I am convinced that justice and healing must emerge first and foremost from the collective will of the people. The arts are a testament to this, to the continued vitality of the Cambodian people, to the fact that Pol Pot failed to destroy us, and that in spite of the seemingly insurmountable difficulties of rebuilding, we cannot and will not be silenced. 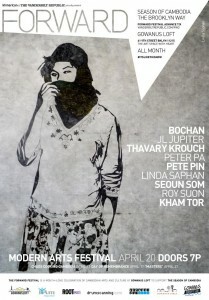 Thavary Krouch's short film "Black Ink On Rice Paper" will be screened next to Saphan's artworks. 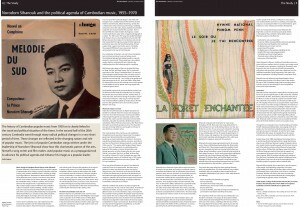 "The festival celebrates Cambodia’s artistic revival just one generation removed from the Khmer Rouge regime (1975-1979), a dark period in Cambodia’s history during which nearly 90% of the artists and intellectuals were tragically eliminated in an effort to devastate a flourishing artistic community. Season of Cambodia, then, will serve as an international platform that not only highlights the extraordinary resilience of the Cambodian nation and its artists, and also sets the stage for other post-conflict nations seeking renewal through artistic expression."